The Johor-born man widely known for his works in organizing the annual George Town Festival, Penang’s signature arts and culture showcase is ecstatic as Tropfest SEA 2015 attracted a huge crowd to Esplanade, Penang earlier this month. Adding to that, Tropfest SEA collaborated with INTI International College Penang to provide over 20 INTI Mass Communication students a once-in-a-lifetime opportunity to be part of Joe’s organizing team during Tropfest SEA 2015. This opportunity called INTI-Tropfest SEA Apprentice Programme has managed to impress the man himself. 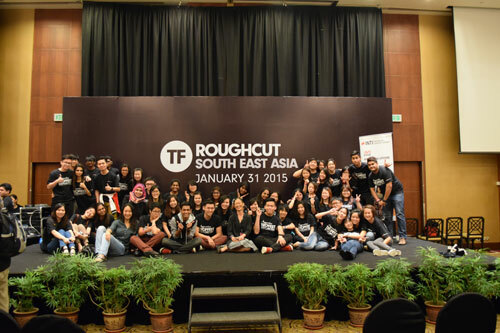 “I am delighted that we [INTI and Tropfest SEA] have started on this Apprentice Programme. The benefit that the students have gained from being part of such a huge regional event was tremendous and it was definitely a life changing experience for them,” said Sidek. Aimed to provide INTI students with world class event management skills and real-life exposure to the glam-filled media management industry, the students were trained in different aspects of media management; from handling interview sessions to interacting with the key personnels of the festival. “We will continue to work on specific areas in order to expose these students to real life situations and most importantly to think for themselves. With the short time I have had with the students, I have seen some with great potential. I also believe this collaboration will go on to be a very fruitful one as both parties are driven to make a change in our society; INTI in education and us in film making,” he added. With the preparation for the George Town Festival well underway, Joe also believes there is a huge possibility for the students to be a part of it, come this August. INTI champions the responsibility to align graduate outcomes with employer expectations. By providing a curriculum based on market needs and demands, with the added benefit of employer projects, leadership talks and internships, students are empowered to think and learn beyond the classroom. Tropfest SEA is part of the global Tropfest festival that is held throughout the world, including Australia, New Zealand, the Middle East and USA. The short film festival, which reached its final earlier this month saw Polen Ly from Cambodia walking away as the winner with his short film ‘Colourful Knots’ being the most impressive amongst the 16 finalists.